Grow tents come in all shapes and sizes, and whilst some people want to get as much space as they can out of one of them, others find that all that space takes away from their space too much. This is where smaller grow tents come into play. The smaller form factor means that you’re going to be able to tuck one of these quietly away in a corner and not have to have it out where everyone can see. Not only that but smaller form factors also mean lower energy requirements, as there will be less lighting and fewer plants to absorb that light. This means they are going to be cheaper, not only to purchase but also to run. Here is a rundown of five of the best small form factor grow tents you can get your hands on. 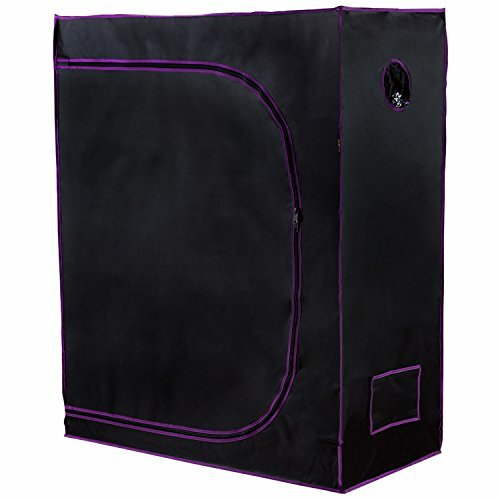 The Lighthouse Hydro 30"x18"x36" is the smallest grow tent, overall, of the options on this list. This takes on the form of a 30"x18"x36" form factor. The size is small, but I would worry that it is actually too small along one side. If you’re going to want to grow a reasonable number of crops or plants, you’re going to need to use something a bit bigger in order to get you there and the narrow design means some plants might struggle to find room. Moreover, the light distribution is going to be a bit spotty unless you invest in more lighting. Nevertheless, the model itself is brilliantly designed and contains large doors and access ports, with adjustable hanging straps for lighting, air intake vents, and storage pockets. Overall, a good choice, but a little on the pricey side. 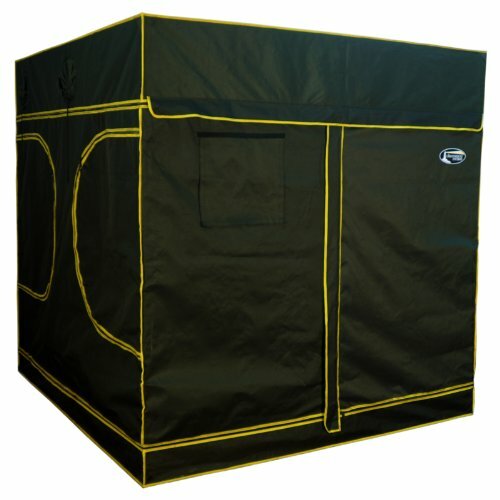 The Yaheetech Hydroponic 24"x24"x48" is an entry level option when it comes to small form factor grow tents. The size is small, but its ability is not. 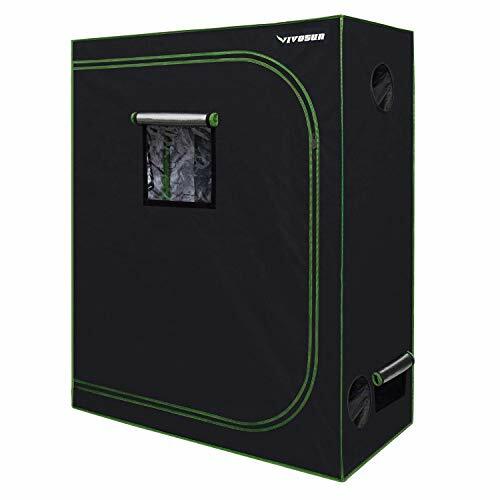 Yaheetech actually specialize in the smaller form factor grow tents in the market, so if you want your grow tent small, then this is a great option for the budget buyer. The low price does not mean bad build quality. In fact, the materials used are similar to the lighthouse hydro, and the features available are also similar. The Yescom 24"x24"x36" uses a pretty standard small form factor size. The design itself is pretty good and this means that it’s quite portable. It doesn’t come with some of the frills other options provide, such as a tool pocket or spill proof design, but it does manage to hold its own when it comes to the build quality and materials used. The Yescom is one of the better options out there, but it is still not the best or smallest grow tent. If you’re looking for a reliable option, then this is a good choice. However, if you are looking to purchase something with a few more options, then continue reading. The VIVOSUN Horticulture 48"x24"x60" is starting to get a bit bigger (size-wise) than the other options below. If you’re looking for the absolute smallest grow tent, these next two are probably going to be too big for you. However, I have included them as they still incorporate a relatively small form factor, and the companies behind them are two of the best when it comes to manufacturers of grow tents. This is not only because the companies manufacture great grow tents, it’s also because they happen to manufacture a huge range of equipment for use in those grow tents. Regarding this model itself, the VIVOSUN Horticulture 48"x24"x60" is no exception when it comes to quality. The frame is made of steel and the canvas is extra thick to prevent light escaping, and pests getting in. Moreover, the VIVOSUN Horticulture 48"x24"x60" comes with a small window from which you can view what is inside at your own convenience. The Apollo Horticulture 48"x24"x60" is very similar to the VIVOSUN Horticulture 48"x24"x60". In fact, they are practically identical apart from some colors and aesthetic choices. Both options make use of extra thick canvas to ensure the grow tent is light proof and both make use of the 48"x24"x60" form factor to ensure that the grow tent is small, but not too small. Where these two options differ is in the companies behind them. As said above, when you’re comparing these two models, make sure to compare what else the companies have on offer, and see which one suits your farming needs most. Overall, picking a grow tent comes down to a huge range of factors, and as I have said before, making sure that you know what you’re doing with respect to soil, nutrients, and other additional equipment is essential. 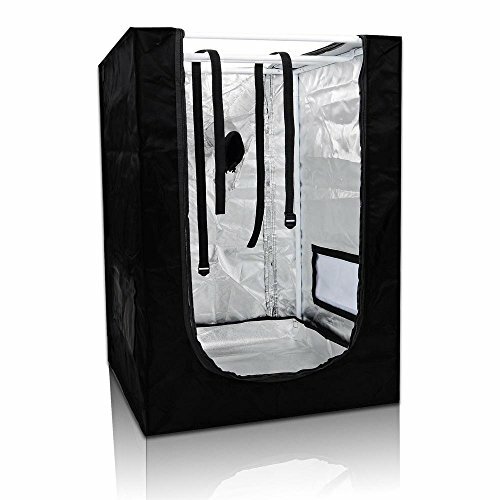 However, if you are simply looking for a good, small grow tent, then your best options are probably either the Viviosun or the Apollo. 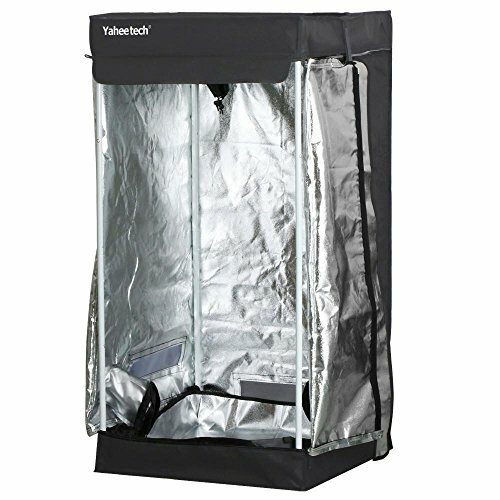 If, however, you are insistent on getting the smallest grow tent you can, then it’s probably a good idea to go with the Yaheetech, or the Lighthouse Hydro if you’re looking to put it in an irregular space.